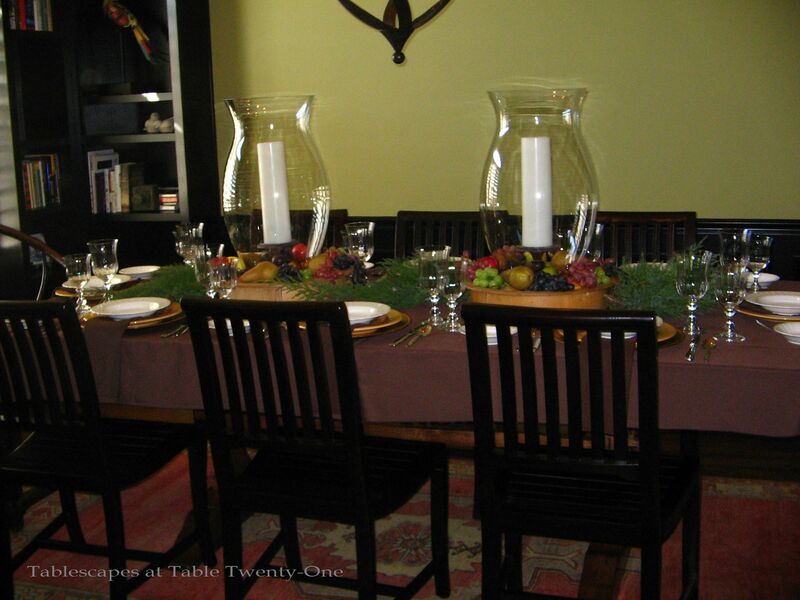 A neighbor asked me to help her with the design of a dinner tablescape for an Italian Christmas feast. She wanted to keep the look “very low key.” Further, she wanted the colors to be warm and not “overtly Italian.” My solution was to pair her white bowls with my mustard-color plates. We also used her existing flatware & stemware. The long, lush centerpiece uses rustic wooden bowls as the foundation. (September Wine to see these wooden bowls & oversized hurricane sleeves used in a similar design on a long Tuscan-style table.) To this I added massive 24″H clear glass hurricane sleeves from Pottery Barn with an ivory pillar candle atop an oil-rubbed bronze candlestick. The outer edges of the bowl are filled with assorted seasonal fruits. To finish the look, fragrant evergreens cut fresh from the yard. 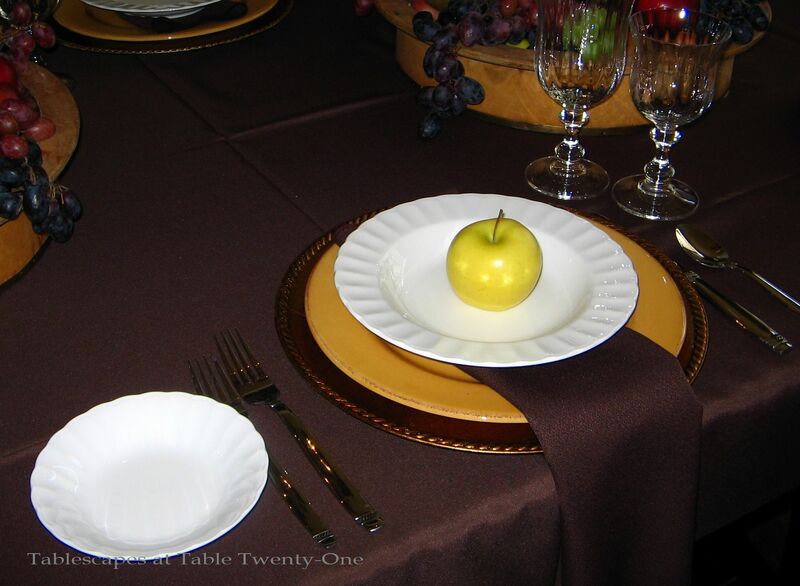 To finish each place setting, a bronzed charger and simple yellow apple serve as a subtle extension of the centerpiece. Rich chocolate linens convey the desired warmth and subtlety.